Some of the biggest gains are made in the off-season. That’s why we decided to pull together a guide to gear that will help you maximize your summer and fall training sessions. From rollerskis to running shoes, apparel to packs and more, find some of our editor’s favorite pieces and keep on banking dryland training hours for the season ahead. 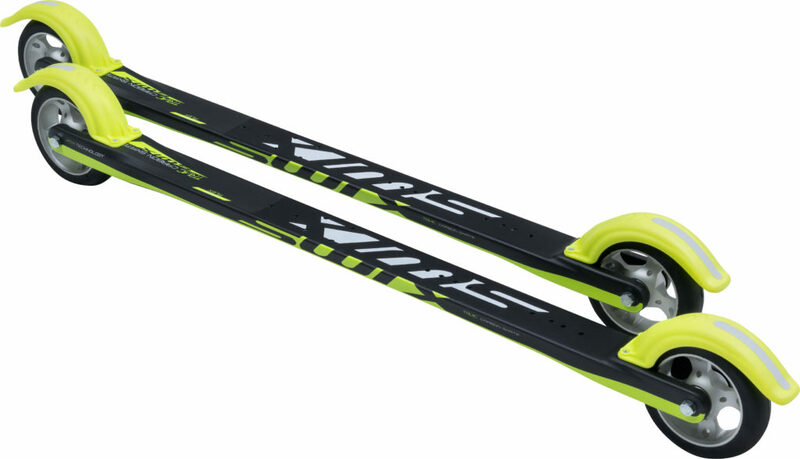 Swix’s new Triac Carbon Skate rollerski, developed after the company acquired Pro-Ski’s technology, is available in two flexes—medium and stiff—allowing skiers to choose a feel that best mimics skiing on real snow. Kevlar reinforcement along the bottom of the shaft protects these lightweight carbon skis from dings and brushes with the pavement. Swix also pre-drilled this ski to accept Salomon Prolink and SNS bindings, as well as Rottefella NNN bindings. With its Fork Flex rollerskis, Pursuit changed the game in terms of how these summer training devices flex and mimic the feel of skiing on snow. The forks, both front and rear, are the point of flexion. One tester, who has an extensive background on a variety of rollerskis, immediately noticed the difference in flex, commenting that it was “quick and snappy but still very smooth and consistent.” This year, Pursuit subtly changed the skis by removing a couple of the drilled holes in the side of the frame and adjusting the geometry of the springs in the fork to improve the flex. “Nice smooth finish. One of the first things I noticed was how the skis seem to encourage good footwork and extending the glide without feeling too fast,” noted one of our most experienced testers of the RCS Carbonlite Skate. Fischer designed this rollerski with an “Air Core Composite frame” in order to dampen vibration and increase the rolling smoothness. Performance aside, testers agreed with one assessment of their curb appeal: “The carbon-fiber look and flex made the skis look sleek and feel fast. 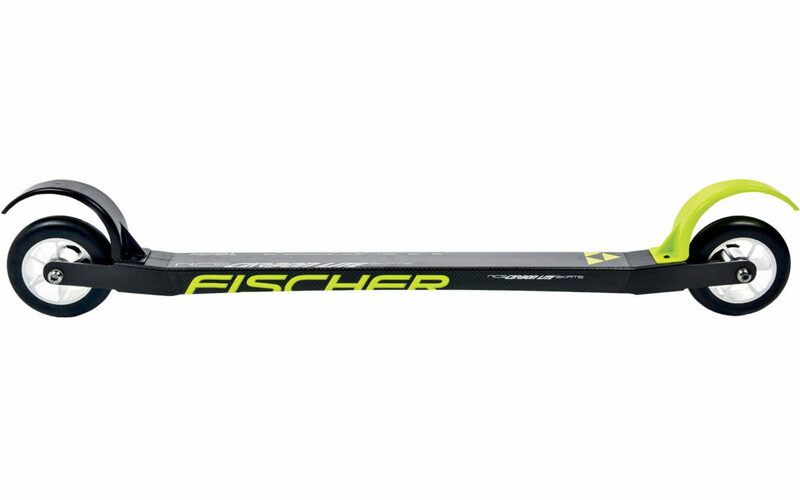 I wonder how the ski would hold up to a couple of crashes, rocks or dives in the ditch.” Fischer incorporates a razor-shaped base to their rollerskis where the bottom edges of the shaft are blunt, a feature that they designed to increase ground clearance when cornering or putting the rollerski on an edge. Made to flex directly underfoot—think camber in a skate ski—Marwe’s 620XC skate rollerski, well, rolled well in our test. It could be because it’s made from a honeycomb composite shaft (called the Snowfeel XC Nanocarbon Aircell Core) designed to dampen road vibration for a particularly smooth ride. Testers noted the 620XC’s stand-out solidity. “The gliding experience felt similar to snow and the stability allowed a really natural balance for skating,” one said, “like being on snow.” All felt the 100mm, medium speed, urethane wheels provided a controlled, moderate-paced ski for training. 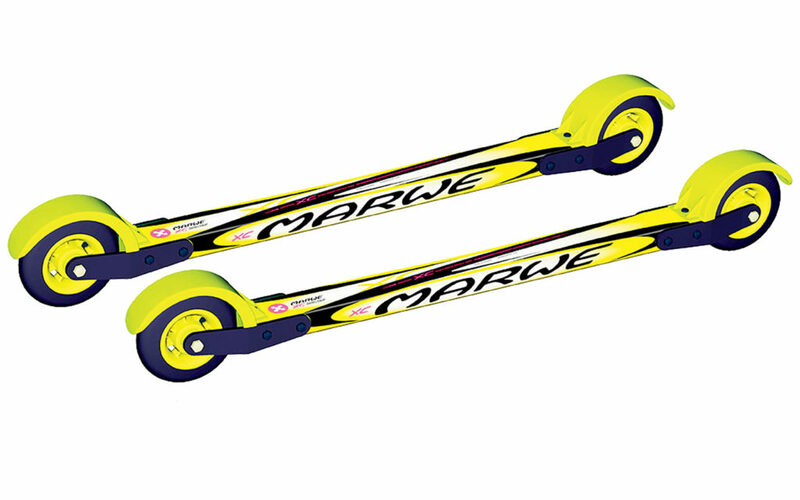 Marwe does not have the option of purchasing a brake for their skis, so, if you’re a new rollerskier or worried about speed and stopping, it’s possible that these aren’t for you. The V2 Aero 150s, with their pneumatic wheels, are a fantastic option for skiing smooth, hardpacked, dirt roads. 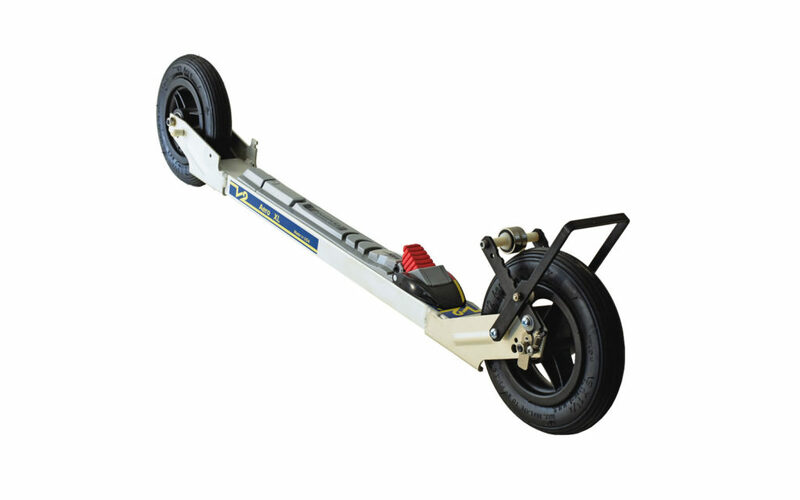 If you’re looking to avoid traffic or the blazing heat of pavement, these big wheels are designed to roll over rough surfaces with ease. They provide an incredibly smooth ride on black top, too—they’re just a bit heavier and can feel a little clunkier than other skis that get the same job done. The Carbonlite Classic is Fischer’s top of the line classic rollerski, designed for high-level training in the off-season. Thirty-eight millimeter wide wheels provide stability and a 28mm ground clearance is designed to enhance balance while still keeping you clear of pebbles and other small road hazards. Fischer incorporates a rear wheel ratchet into its rollerskis, which, according to the company, creates a more “waxed-ski-like feel,” which means you need to initiate the kick like you would with a race ski, as opposed to kicking late, a possibility with a front wheel ratchet. 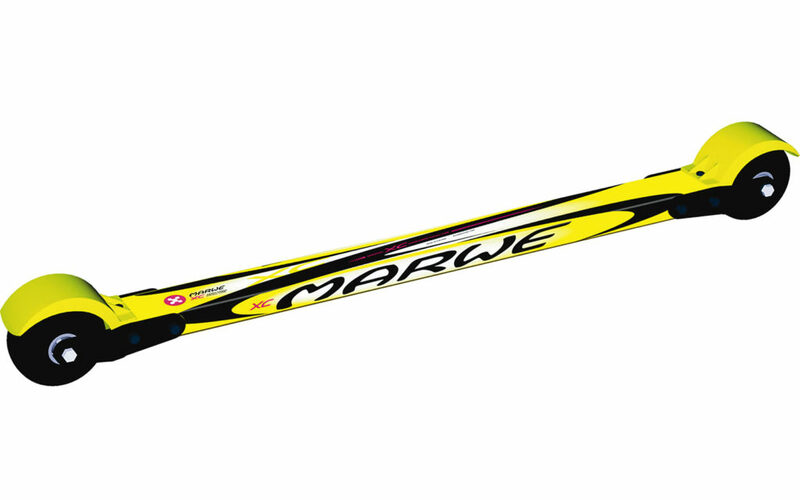 Made with the same honeycomb dampening technology as the Skate 620XC, Marwe’s Classic 700XC rollerski flexes even more ski-like, testers felt. “These skis were as close to skiing on snow as I’ve found in rollerskis,” one noted. “They had a really noticeable flex, they absorbed vibrations in the road and they glided over the pavement like snow.” That could be because of the Snowfeel XC Nanocarbon Aircell Core. As the name suggests, the Classic has a 700mm wheelbase, designed to allow the skis to glide like the real thing. While we only tested the skis in dry conditions, Marwe says the 80mm-wide wheels grip wet pavement particularly well, too. Marwe has also redesigned the shaft in both the Classic 700XC and the Skate 620XC by adding polyurethane at the ends to make them more resistant to moisture and, therefore, more durable. V2’s rollerskis are known for having a myriad of adjustments and accessories. Think speed reducers, brakes and, a tester favorite, tracking adjusters. V2 says that very few people—if any—have perfect body geometry, which makes tracking rollerskis difficult from a manufacturer’s perspective. 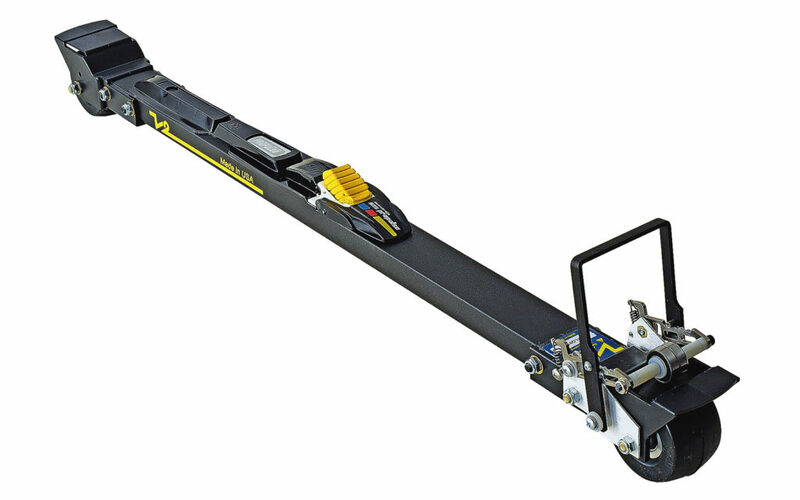 Each pair of their XLQ920 skis has an adjustment on the axle that moves the tracking one way or the other depending on whether your body naturally pushes the ski out or pulls it in. One tester with years of high-level technique training noted that “you can make [the skis] slip if you start kicking like wax never slips. This is super important for folks focusing on technique as it’s really easy to start the on-snow season with ‘roller ski’ kick, which can lead to technique issues for months.” The same tester attributed this difference to the fact that V2 uses a ratchet in their front wheel (as opposed to the back) to simulate the kick. Remember your old Pro-Ski C2 classic rollerskis? 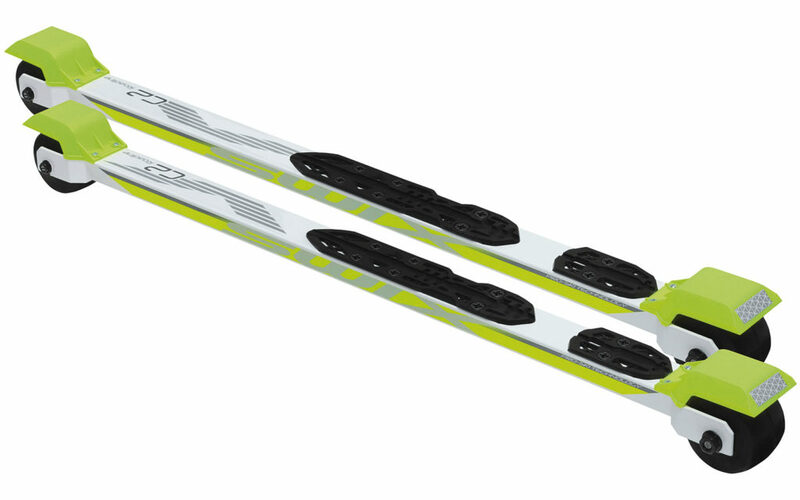 Swix acquired Pro-Ski technology and has been branding them in flashy white and yellow. Like the old C2s these also have a rear ratchet, which was a bonus for one tester. “Utilizing the rear ratchet these skis kicked a bit differently—in a good way. They were incredibly smooth and tracked well,” he said. Another tester thought the wheels were a little bit narrow, decreasing stability, particularly when cornering. Smoothness was the top characteristic listed on more than one review sheet, and testers noted that the speed of the wheels and bearings made the Roadline C2 a hoot. These skis come ready to be mounted with an NIS plate and predrilled SNS holes.